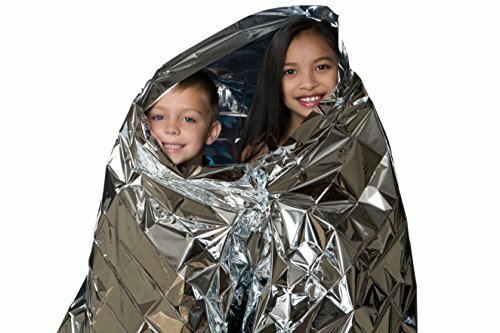 Waterproof and weatherproof retains/reflects 90% of body heat … Rescue Blanket provides compact emergency protection in all weather condition. Thermal Blankets / Emergency Blankets are perfect for cold weather (prevent hypothermia) and perfect for Armageddon. Disposable rescue blanket preserves body heat and maintains body temperature. Small & Lightweight…Fits just about every First Aid Kit – Best quality survival Blankets on the Market; Great for Sporting Events; Marathons or Ice Fishing in Alaska!